WAIPA IN REAL LIFE: MY "AWWWESOME" TRIP HOME TO KEAUKAHA - WAIPA'S "AWWWESOME" STORY OF THE 2014 KONA IRONMAN TRIATHLON!!! MY "AWWWESOME" TRIP HOME TO KEAUKAHA - WAIPA'S "AWWWESOME" STORY OF THE 2014 KONA IRONMAN TRIATHLON!!! AND SAW THAT THEY WERE LOOKING FOR VOLUNTEERS TO HELP OUT. I SAID TO MYSELF... SURE... WHY NOT??? I SUBMITTED MY VOLUNTEER APPLICATION AND SEVERAL WEEKS LATER I WAS NOTIFIED THAT I WAS ACCEPTED!!! WHEN I ARRIVED IN HILO, HAWAI'I... I FREQUENTLY DROVE ACROSS THE ISLAND TO KONA AND CHECKED OUT THE PRE-EVENTS AND MET QUITE A FEW IRONMAN COMPETITORS FROM ALL OVER THE WORLD!!! IT WAS TRULY AN AMAZING EXPERIENCE TO SEE THEM TRAINING VERY HARD LEADING UP THE EVENT!!! I ALSO FOUND OUT CELEBRITY, "APOLO OHNO" WAS ALSO COMPETING AS WELL!!! 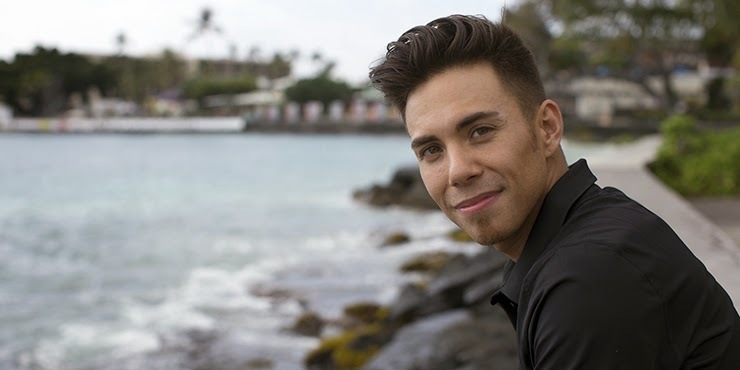 Apolo Ohno: "There's Always the Pull of the Physical"
The Olympic speed skater gets personal on the eve of the IRONMAN World Championship, his first IRONMAN. When Apolo Anton Ohno entered the Lake Placid Olympic Training Center in 1996 to train full-time for short track speed skating, he was 13, making him the youngest skater ever admitted. A year later he won his first major title and became the youngest national champion ever. He went on to become the first American to win the overall World Cup title, which he did three times, then he won the overall World Championship title, followed by eight Olympic medals, and too many other major events to count. But here's the thing: String all of his race times together since he was 13 and they wouldn’t add up to a single IRONMAN race. I'm not sure they'd even add up to the run. So you have to wonder: Why is this skating superstar determined to pour more energy into a single-day triathlon than he's expended over 20 years' worth of short track speed skating? Apolo: I hear it helps to be a little crazy if you're going to do an IRONMAN race. Lee: So we're agreed on that. Why are you doing this? Apolo: I think every athlete who retires ends up with a desire for the next physical challenge. Even if they've gone into business or sought some other mental challenges, there's always the pull of the physical. Apolo: I came from a sprinting background. My specialty was 90-second races all the way down to 40 seconds, and it was about all-out ballistic power and speed. I've watched IRONMAN over the years and known a lot of triathletes, and I've always admired their sheer tenacity and will over those long distances, partially because it was so alien to me. Apolo: I actually got the opportunity to give it a go last year, but I was just too busy with work, traveling to Asia every 30 days…it just felt impossible. This year I thought I'd have more time, and it turned out I was even busier. But I committed anyway. Apolo: I needed a big challenge in my life. I'm four years retired from the Games, and I just found myself wanting to undertake something very difficult, something seemingly impossible. 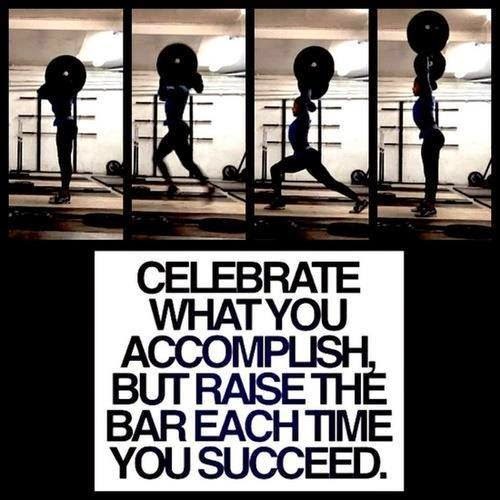 I know I'm not going to win, or even make the podium, but I want to see how hard I can push my body. And IRONMAN racing is so completely at the opposite end of the spectrum of what I spent over half my life training for, I know it's going to test me in ways I can't possibly imagine. Apolo: Everyone I've ever spoken with who's done the event has said it's a life changer. And to be able to call myself an IRONMAN competitor and be a part of one of the most remarkable communities in the world? I couldn't resist. Lee: Every event you've ever trained for has had a specific goal, like a world title or Olympic gold. If you already know you're not going to win on Saturday, or have a podium finish, what exactly are you setting out to do? Apolo: Interesting question. I'm not a professional triathlete, obviously, but I look at this as an opportunity. I'm humbled to be in the race, and I plan to go as hard as I can, but for me it isn't going to be about shaving minutes or seconds off a previous time. It has more to do with the experience. Apolo: Being in Kona, having all of that energy around me…from all that I've read and heard it's a true spiritual experience. And, to be candid, I think it's the closest I'm ever going to get to a feeling like competing in the Olympic Games again. I've spoken with Crowie [three-time IRONMAN world champ and course record-holder Craig Alexander] about it, and of course Paula Newby Fraser is my coach, and I found myself smiling every time all of these athletes and coaches talk about Kona, because they make it sound like you're competing on a different planet. To me it's the epitome of athletics, when you're able to go beyond whatever you've known before. And in an IRONMAN race, you do that on several levels. Lee: You've got this aura of being the very best in one sport. No fear that it'll be eroded if you're not the best of the best here? Apolo: Difficult to say. If there's one thing I've learned about expectations in this sport, it's that you have to be prepared to adjust them depending on race-day conditions. Lee: So what are your goals for a good-conditions day? Apolo: I don't have specific time goals. Just want to go out hard and turn in the best performance I'm capable of. Lee: How are you going to know whether you've had a good day or not? Apolo: [laughs] I don't know! But I've done an IRONMAN 70.3 race, you know. Apolo: It'll mean I finished in daylight. Lee: But for an experienced, competitive athlete like you, if you don't have a specific time or finishing place goal, how are you going to know, when you're out there on the Queen K, if you're ahead or behind, if you need to push yourself even harder…how do you make sure you finish with no gas left in the tank? Apolo: I am 100 percent confident that there will not be a single ounce of gas left in my tank when I start the run. That's how hard I think it's going to be. Seriously, I've never had any hesitancy about pushing myself to the limit. My problem is going to be the opposite: making sure I don't go out too hard so there's something left to finish the race. Apolo: I think I have a pretty good gauge of how hard I'm going. I'll be strapped up to all kinds of stuff so I'll have heart rate, cadence, watts. I'm no stranger to hard work. I know how hard to push my body. Apolo: I've never done it for that length of time or in those conditions. But I’m fairly confident I'll have a good handle on how hard I'm going and if it's the right level of effort. Lee: You said after Boise that you'd gone out too hard on the bike because you got so excited early in the race. Apolo: I sure did, and I paid for it on the run. I didn't have a good sense about how to pace myself. I'd gotten invaluable direction from Paula, of course, but man, when that gun went off? Surrounded by all of those incredible athletes? I wanted to see how hard I could push myself and just didn't want to start off doing anything less. Apolo: I've never been a great runner, and I've always been a sprinter, so let me tell you: I had no idea 13 miles could feel that long. Lee: If you thought that the gun going off in Boise was exciting, wait until you're sitting in this nuclear reactor called Kailua Bay and the cannon fires up. Apolo. I hear it's bananas. Absolutely bananas, and I'm excited. Apolo: Somewhat, but there were some surprises, too. Like, how bad of a runner I was. [laughs] I was running with this woman, she was about double my age, and she's having this full-on conversation with me. I'm thinking, I can't shake this lady! But I do have this 40-meter sprint I can turn on when I really need to, so that saved the day. Apolo: It was the best possible thing to have happened to me, to have gone too hard, and to have suffered, because it was a slap in the face about what I really have to do to be able to perform like I want to in Kona. And Paula was happy. She was smiling the whole time. Even before the race she goes, "This is going to be such a great wake-up call for you, I'm so excited!" Lee: One thing I'm curious about, and it relates to the post-IRONMAN race blues I've heard about. All that training and anticipation, and then it's over. You've obviously done some very intense training in short track, and spent years dreaming about the Olympics. When you won your first gold medal, was there a letdown afterwards? Apolo: Oh, boy, not me. I was absolutely euphoric for days, and in fact it took me time just to work through the disbelief about what had happened. Look, you work for the opportunity to be perfect for forty seconds every four years, and if you don't pull it off, your hopes and dreams about being an Olympic champion are dashed. When it happens, the feeling is indescribable. But there's another side, and that is, win or lose, all the life lessons, the discipline, everything you did to give yourself the tools to be a champion…all of those things are still yours. At least that's how it feels to me, so there's no letdown afterwards because the dividends keep paying off. Lee: You mentioned that you're coached by Paula, which is kind of like taking golf lessons from Jack Nicklaus. What's that been like? Apolo: Amazing. Just amazing. She's such an incredible coach. You know, a lot of elite athletes think they can be great coaches, but many of them can't. But Paula, I mean…she could have coached me during my short track career, that's how good of a coach she is. Apolo: First of all, she understands the body and can read subtle signs like no one I've ever met. She knows how I'm feeling, before I even know it, and even more remarkably, she knows how I'm going to feel before it happens. Second, she not only has this incredible book of knowledge, she knows exactly how and when to apply it, and can pull out all kinds of wisdom at the perfect moment. Seriously, you can't appreciate those abilities until you've experienced them. She's been the best part of this whole trip. Apolo: Honestly? She's never really told me how fast she thinks I can go. I think that's because she doesn't really know how well I'm going to be able to handle the heat so she hasn't told me what she thinks I can do. Apolo: Yeah! What'd she say? She won't tell me! Lee: I've watched you race on the ice many times, and you're a pretty reserved guy, not a lot of overt emotion, whether you win or place. Has anyone prepared you for what it's going to be like on Ali'i drive during the last quarter-mile of the race? Apolo: They've tried to tell me about it, and I swear, I start to choke up hearing it. Apolo: I'm getting goose bumps just listening to you. Apolo: I've felt something like that on some of my longer runs. On the bike I always feel like I can muscle through. Even if you slow down you can still roll and make progress, but in running, you just stop moving. 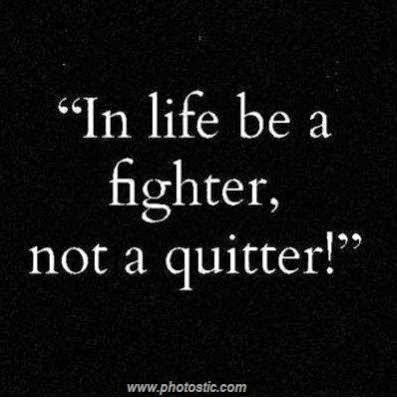 I know it's going to take a lot of mental strength to get through the dark moments. Apolo: Sure, plenty of them. I'm a huge fan of visualization, of positive self-talk. I believe strongly in accepting situations as they come and trying to work through them without wasting energy worrying about why they happened. Look, I don't know what I'm going to find out on the course in Kona. I've never gone that long or that hard or in those conditions. I'm not used to that heat, that humidity, those cross winds. But I'll tell you what: I'm a competitor, and I've been in plenty of tough situations, so I'm looking forward to being tested, and I'm confident I have the mental and physical tools to deal with whatever gets thrown at me. Lee: Now I'm getting goose bumps. Do you look at the IRONMAN World Championship as something to check off your bucket list, or do you think you'll do more once this one is over? Apolo: I don't know! Let me see how this one goes. I'll tell you what: This process has been really amazing. I had no idea how much I would enjoy the endurance world. The community of people doing 70.3s and IRONMAN, it blows me away. I had no idea of the kind of camaraderie, the intensity that's everywhere in the sport, and I also had no idea how big it was. I feel blessed and humbled to have been welcomed into this community of athletes. I don't know if I'll be doing another full IRONMAN race soon, but…okay, listen: I've already told Paula I want her to coach me when I'm 40, eight years from now, and I want to go faster than I do this year. Apolo: That's incredible! I won't be placing second but I want to be up there somewhere. Lee: He'd already won it six times so he was no amateur. Lee: You're doing this in a very public, very visible way. You've got friends and family coming over…lot of pressure there. Apolo: That's okay. The way I look at it, this is a very emotional and spiritual experience for me, and I like the idea of being able to share it with people close to me. They've been helpful and supportive, and without them I couldn't have done it, so I want them along for the ride, no matter how it turns out. Lee: You're going to have a lot of people along for the ride. So good luck. APOLO FINISHED THE KONA IRONMAN TRIATHLON IN 09HRS:52 MINUTES:27 SECONDS!!! ANOTHER CELEBRITY ALSO COMPETING IS HAWAI'I OWN MAYOR, BILLY KENOI!!! THIS GUY IS AN ATHLETE!!! ANOTHER COOL ARTICLE TO READ!!! • Fact: At age 39, Billy Kenoi became the youngest Mayor in Big Island History in 2008. On Saturday, Kenoi will be the first Mayor of Hawaii to take on the grueling 140.6-mile distance. • Quotable: "I’m so stoked I’m doing this. I can’t believe it!" After four months of hard work, dedication and lengthy workouts to whip himself into the best shape of his life, Mayor Billy Kenoi is just days away from his first attempt at the Ironman World Championship in Kailua-Kona. Although Kenoi has competed in other triathlons including Ironman 70.3 Hawaii, Lavaman Keauhou and Waikoloa, and the inaugural Hilo Triathlon, Kenoi said this is by far the biggest challenge in his triathlon journey. After successfully completing May’s half Ironman distance event locally known as Honu, Kenoi said he was blown away when World Triathlon Corporation’s Andrew Messick announced Kenoi’s invitation to compete in “the Super Bowl of triathlon” during the post-race awards ceremony. Kenoi said he later went back to watch the last finishers cross the finish line. Drawing inspiration from watching more than 1,800 athletes achieve their dreams on that day, Kenoi said he began doing triathlons nearly four years ago to get into shape. Kenoi also hoped that leading by example would impact health care at the local level — by encouraging the Big Island community to incorporate health and wellness into their lifestyles. In preparation for Saturday’s big show, Kenoi said he’s been training under the guidance of Oliver Kiel, owner of Cycle Station and Triathlon School Hawaii. As of last Friday, Kenoi had completed his second 2.4-mile swim feeling good and more confident with the distance. He’s done a few 80-mile bike rides squeezed between his hectic work schedule, and laces up his running shoes every morning, rain or shine. Kenoi said there’s much to be thankful for knowing he has been given a shot at a dream others spend a lifetime chasing. But he is especially thankful for his family and close friends who have supported him from the beginning. “My wife, Takako, supports me in everything that I do and has come to every event that I’ve competed in,” he said. “My three children all say they are proud of me. I have to thank Jesse Ebersole, captain of EMS for bothering me to be healthy for over two decades. And Mike Sohriakoff who is a fire rescue specialist for keeping me motivated. Now 30 pounds leaner and in the best shape of his life, Kenoi is looking forward to finishing and has visualized what it would mean to run across the finish line well before the 17-hour cutoff time. HAWAI'I MAYOR, BILLY KENOI FINISHED THE KONA IRONMAN TRIATHLON IN 16 HOURS: 54 MINUTES: 13 SECONDS!!! NOW YOU KNOW WHY I LOOK UP TO THIS MAN!!! NOW BACK TO MY STORY... LOL!!! KAHEALANI AND I WOKE UP EARLY SATURDAY MORNING AND WAS ON OUR WAY TO KONA VIA "SADDLE ROAD" BY 3:30AM!!! WE ARRIVED IN KONA AT 5:00AM AND IT WAS ALREADY JAMMED PACKED!!! THERE WAS PEOPLE ALL OVER THE TOWN... IT WAS "AWWWESOME" AND EXCITING!!! WE WERE ABLE TO SEE THE SWIM START WHICH IS SIGHT TO SEE WITH YOUR OWN EYES. I HIGHLY RECOMMEND THAT YOU GO AND SEE THIS RACE IN PERSON. WE WATCHED THE TRANSITION FROM THE SWIMMING TO THE BICYCLE WHICH IS ALSO COOL TO SEE!!! THEY ROCK BIG TIME!!! KAHEALANI & I HAD SO MUCH FUN WITH THEM AND BEFORE YOU KNOW IT... THE RUNNERS ARRIVED AND WE WERE ALL THERE CHEERING THEM ON AND PASSING OUT WATER, JUICE, FRUITS, COLD SPONGES, ICE, AND OTHER SORTS OF FOODS AND DRINKS FOR THE RUNNERS PASSING THRU. IT WAS AN AMAZING EXPERIENCE!!! ENOUGH TALK... ENJOY THE VIDEO!!! ALL I CAN SAY IS THIS, "I AM VOLUNTEERING FOR THE KONA IRONMAN TRIATHLON" EVERY YEAR FOR THE REST OF MY LIFE. ITS INSPIRING, ITS MOTIVATING, ITS 100% ADRENALINE, AND THE COOL THING ABOUT ALL OF THIS... I AM SURROUNDED BY MANY PEOPLE WHO SHARE THE SAME DREAMS AND VISIONS THAT I HAVE. I WILL MAKE NEW FRIENDS EVERY YEAR AND I WILL MAKE NEW GOALS EVERY YEAR!!! AND WHO KNOWS... MAYBE I'LL SOMEDAY COMPETE IN THE KONA IRONMAN TRIATHLON TOO!!! REMEMBER MY NEW FRIEND ANGELA THAT I SPOKE ABOUT EARLIER, I WILL ALSO BECOME A "BEACHBODY COACH" TOO. AND IT WAS ONLY MADE POSSIBLE BY HER, ANGELA... YOU ROCK... WE ARE GONNA TAKE THIS TEAM TO ANOTHER LEVEL AND ITS GONNA SHAKE THE UNIVERSE!! !